One of Las Vegas’ most popular restaurants and a yelp favorite has seen its unexpected demise in the last month. Firefly Tapas Kitchen & Bar shut it doors on April 26th, 2013 after more than 30 patrons reported symptoms of food poisoning. This group, stemming from dining experiences between April 21st- April 24th, has since grown to over 200 hailing individuals from 20 different states and two foreign countries. Linh Nguyen, an epidemiologist with the health district and lead investigator on the case, believes that this number could be “just the tip of the iceberg,” as many times cases go unreported until the victims realize the cause of their illness. In one case, a man from London had such severe illness that he was hospitalized for 10 days. Typically, however, those afflicted with the sickness are not required to go to the hospital as much as they are forced to stay within the confines of the restroom. Common symptoms of salmonella are diarrhea, nausea, vomiting, headaches, abdominal pain, fever and chills. This sickly news might be troubling for the thousands of people who have raved about their fondness of the place. With more than 1,300 reviews on consumer review site Yelp.com, Firefly has garnered a four and half out of five star rating, making it one of Las Vegas’ highest rated restaurants on the widely-known site. Patrons consistently praise the bacon-wrapped dates and signature sangria. Nonetheless, those admirers will have to wait quite a while for their next dining trip here. Originally, Firefly’s owner John Simmons said in a statement that he had hopes of an end-of-the-month reopen, but in the weeks that followed the initial closing, inspectors have penalized the restaurant with 44 demerits bringing a quick end to such aspirations. What makes issues worse for the once desired tapas kitchen is the fact that even with the multitude of citations, inspectors have not been able to pinpoint an exact cause for the outbreak of salmonella, and thus, delaying the reopening even further. At one point they thought the source may have been an egg-based aioli sauce, but have moved beyond that. Then they questioned some grated hard cheeses, but found that many of the affected patrons’ meals were absent of the ingredient. Now the inspectors are investigating the possibility of poor employee hygiene practices. 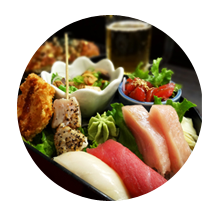 Due to the vast menu and high volume Firefly has, it is possible that employees ignored some fundamental safety prevention techniques so that they could respond more quickly to the customers. Finally, in order to cover all aspects of the epidemic, inspectors are even tracing back the source of the meat Firefly serves raw. 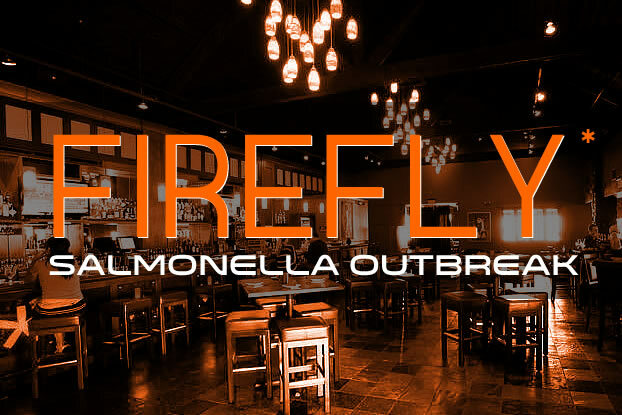 Discovering that the source of salmonella originated outside of Firefly could mean that other restaurants using the same source are also food poisoning their customers. In any event, those who have fallen victim to such negligence could be looking at a sizable amount in compensation. For individuals that experienced severe illness for a few days because of the salmonella, juries have typically rewarded compensation between $5,000 and $10,000. Those numbers can go up for the more critical cases in which the person had to be hospitalized, miss work, or deal with lasting complications. Texas food safety lawyer Ron Simon flew out to Las Vegas and filmed this video that describes the issues in greater details. He is currently investigating and handling Firefly food poisoning lawsuits. Luckily, for those whose taste buds cannot survive the dormancy of Firefly, they can still eat at one of the other two locations where the tapas styled restaurant exists. Since the complaints are coming from consumers who only went to that one location, the other two have been allowed to stay open.